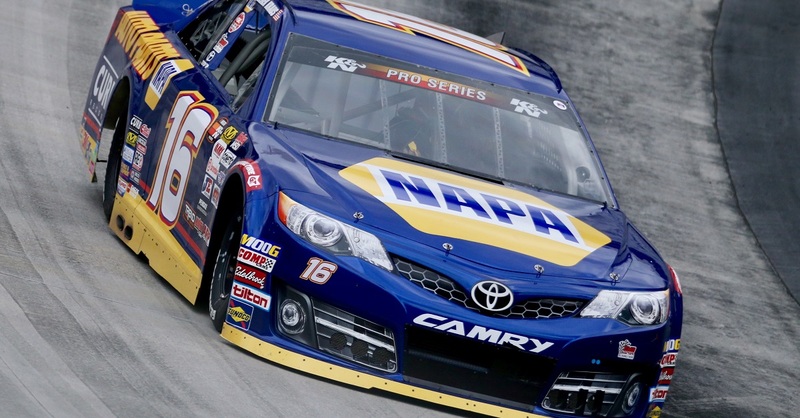 NAPA AUTO PARTS ON THE NO. 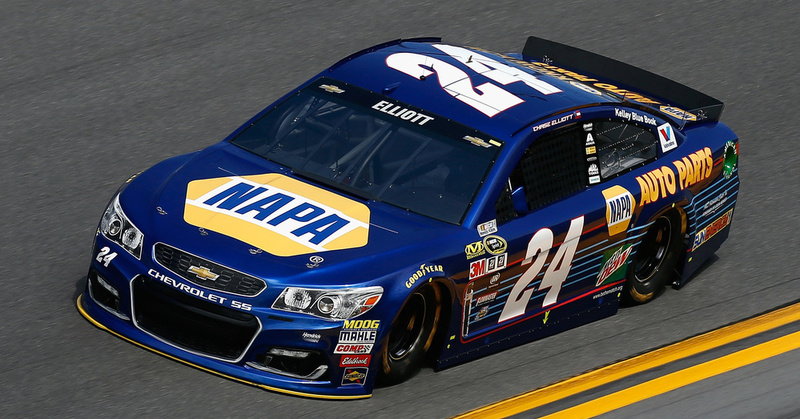 24 CHEVROLET SS: NAPA AUTO PARTS will make its debut on the hood of rookie of the year contender Chase Elliott’s No. 24 Chevrolet SS at Daytona International Speedway in the Daytona 500. NAPA AUTO PARTS will be the majority sponsor on the No. 24 for 24 Sprint Cup Series races this year. CHASING HISTORY: Elliott became the youngest Daytona 500 pole-winner of all time on Sunday after running 196.314 mph during his final qualifying lap. This became Hendrick Motorsports’ 10th Daytona 500 pole – the series most – as well as Chevrolet’s 24th Daytona 500 pole award – also the series most. 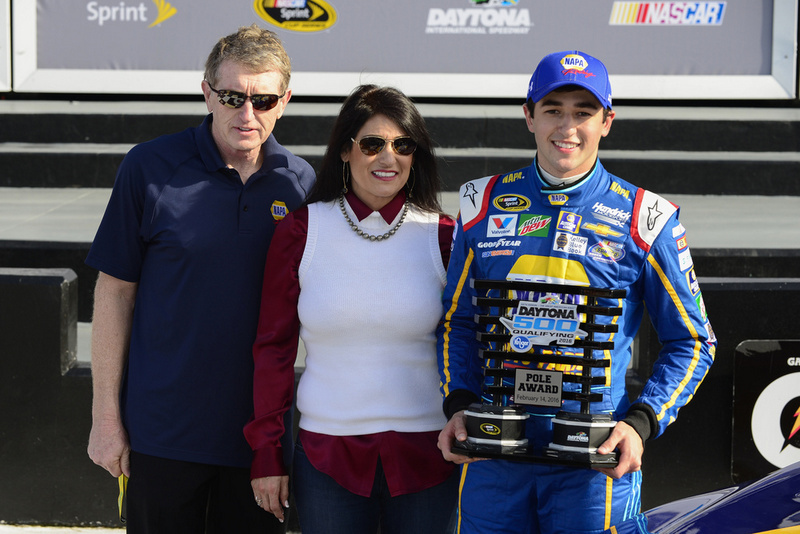 The Elliotts are now the fourth father-son duo to win the Daytona 500 pole behind the Petty, Allison and Earnhardt duos. ROOKIE STRIPES: Twenty-year-old Elliott will begin his campaign for 2016 rookie of the year honors this weekend in Daytona. He has a history of performing well as a rookie-of-the-year contender having earned the title in 2014 while racing in the NXS. 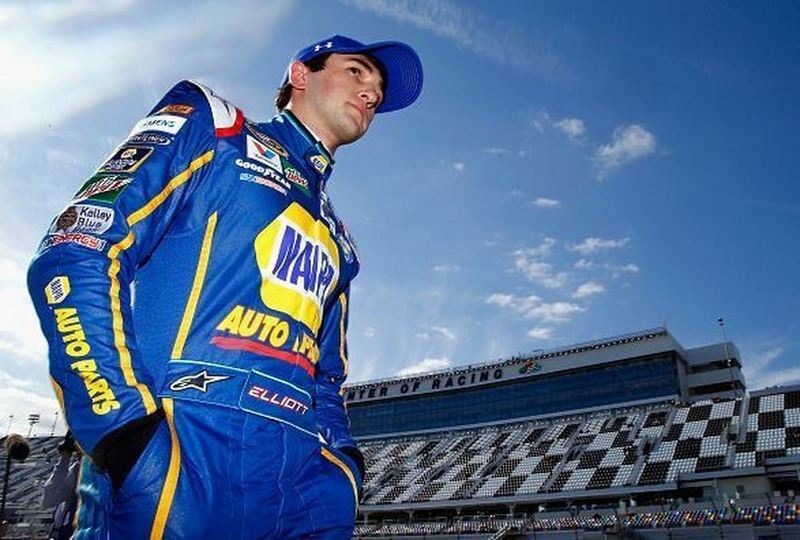 He won the 2014 NXS championship in his rookie year as well, making him NASCAR’s youngest-ever national series champion. DISSECTING DAYTONA: The Dawsonville, Georgia, native will make his Cup debut in the No. 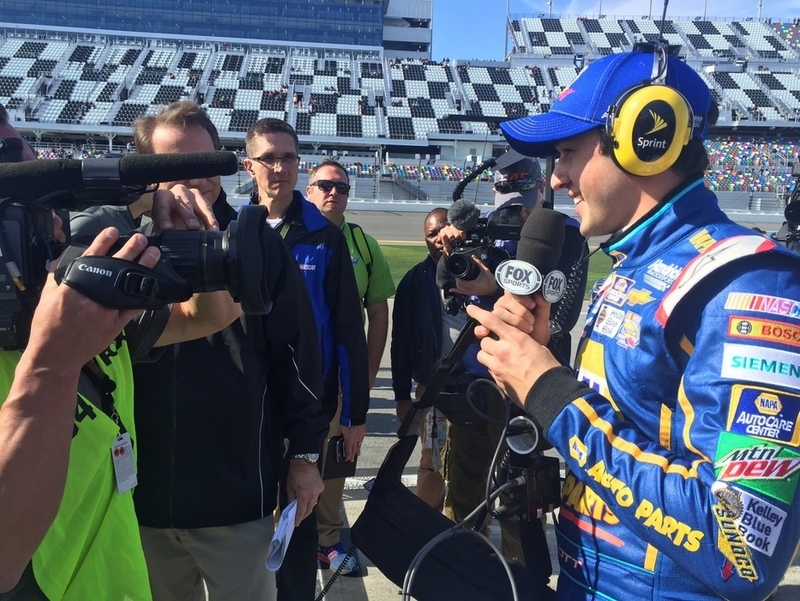 24 Chevrolet at Daytona after earning the pole award Sunday afternoon. Elliott competing there four times in the NXS. In his four NXS starts, Elliott earned two top-10 finishes with his most-recent finish being third. GUSTAFSON GOES HOME: No. 24 team crew chief Alan Gustafson grew up just down the road from Daytona International Speedway in Ormond Beach, Florida, the “Birthplace of Speed.” After graduating from Seabreeze High School he enrolled at Embry-Riddle Aeronautical University to pursue a degree in mechanical engineering. 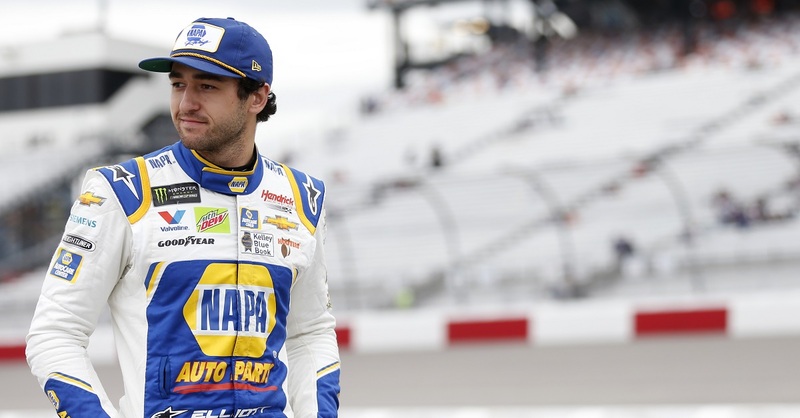 He is now returning to his home once again after closing out his final year as Jeff Gordon’s crew chief and beginning a new chapter with rookie of the year contender Elliott. USAF THUNDERBIRDS: Elliott earned his private pilot’s license in July 2015. On Tuesday, Feb. 16, Elliott handed over the pilot’s seat to ride along with “America’s Ambassadors in Blue” – the United States Air Force Thunderbirds. According to NASCAR engineers, at Daytona International Speedway, peak lateral G is approximately 2.0 and peak vertical G is approximately 2.5. 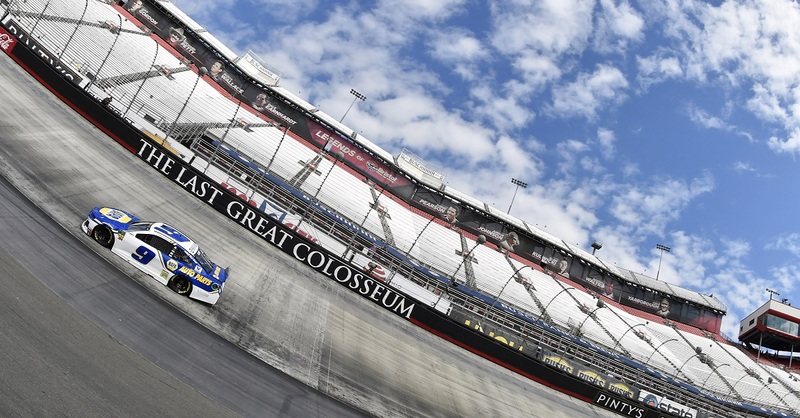 In 2015, the average speed of a Cup car was 200 miles per hour. During Elliott’s ride in the Thunderbirds’ F-16, he experienced 9 G’s moving at approximately 720 miles per hour – 520 miles faster. What an honor flying with “Cheetah” and the @afthunderbirds in a two ship with Dad this afternoon. Those guys couldn’t have any more of my respect, unreal experience! 9.5 Gs pulled! NEW RELATIONSHIPS: In December, Elliott and the No. 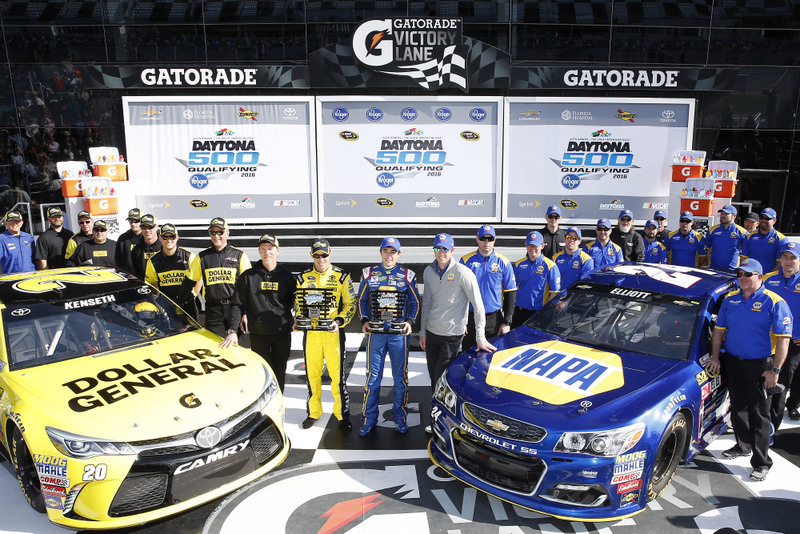 24 NAPA AUTO PARTS Chevrolet SS team spent a day at Homestead-Miami Speedway taking part in a Goodyear tire test in preparation for the 2016 season. 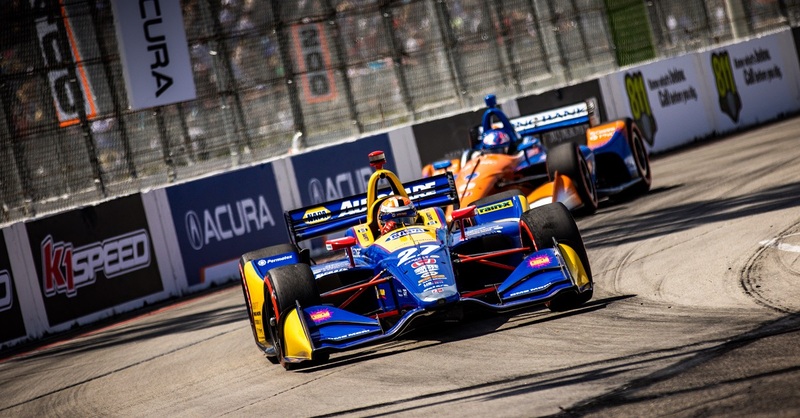 It was the first time that Elliott, Gustafson and the No. 24 team were able to work together on track.